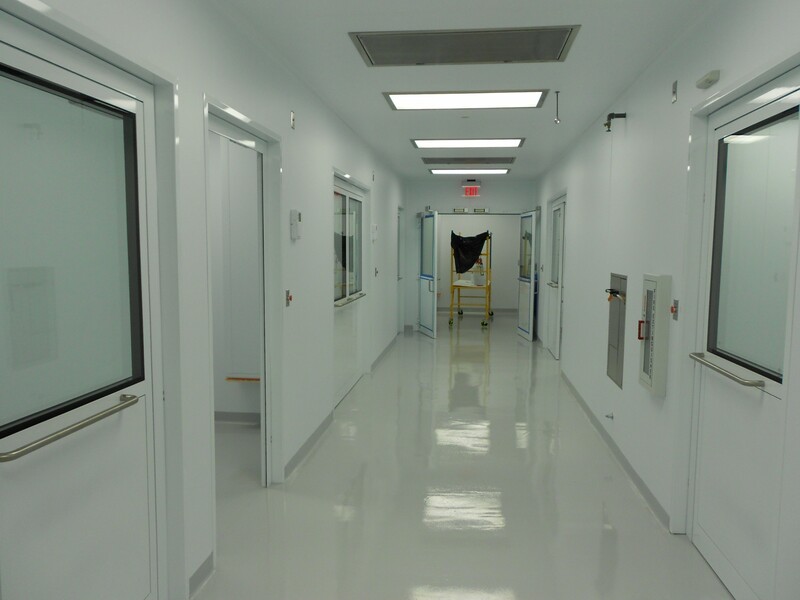 Installed the cleanroom while working under CRB. 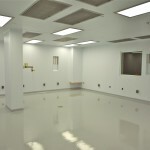 Responsible for supplying all Plascore Pharmaseal Wall and Ceiling System, as well as the room side replaceable filters. 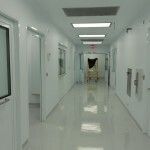 Provided the framing for the cleanroom, as well as the one-hour rated perimeter wall. 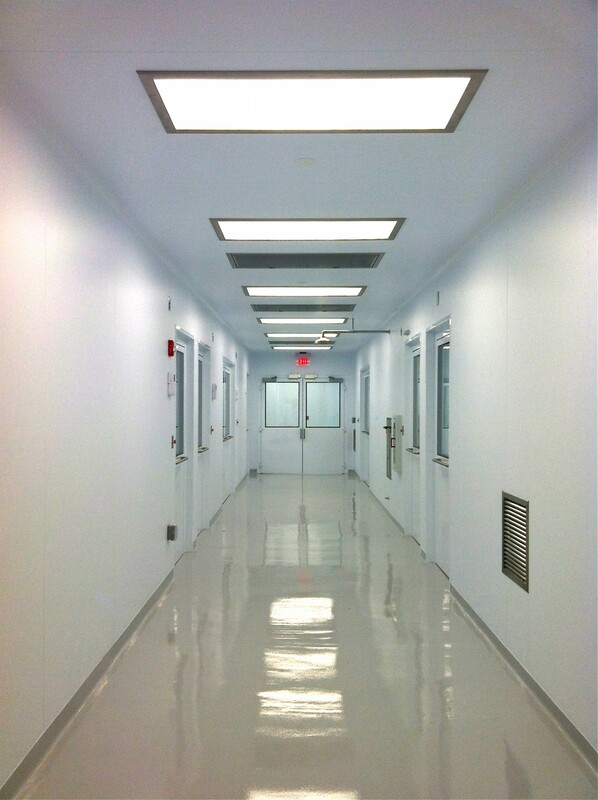 Coordinated with CRB’s MEP subs to complete the cleanroom installation. HCC cut all the penetrations for the HEPA’s, lights, sprinklers, emergency showers, eye wash stations, and utilities. Provided low wall returns and gas valve boxes throughout the space.